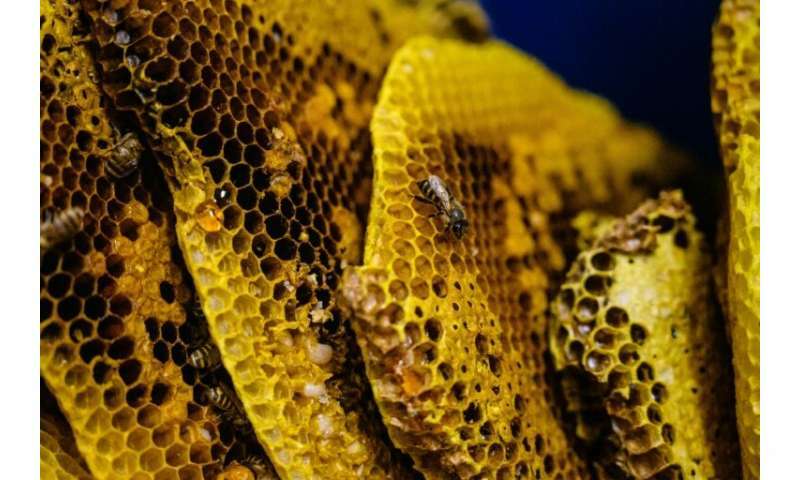 He searches for the queen as stragglers buzz around him—a crucial part of the operation as the other bees in the hive are fiercely attracted to her. 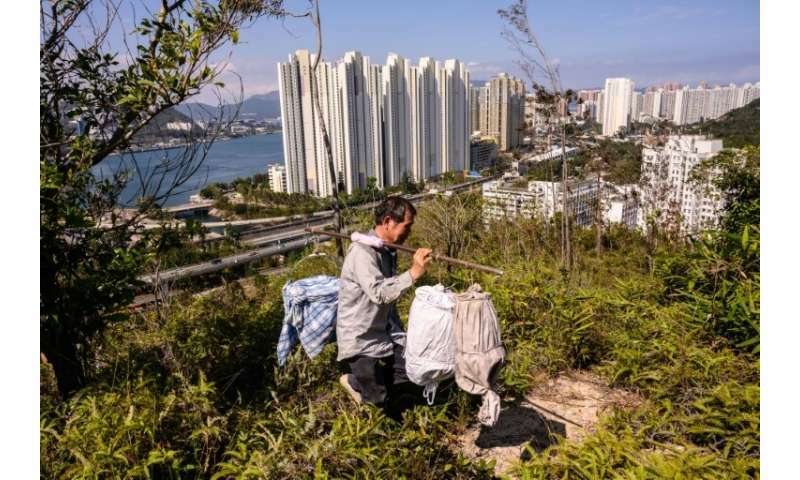 After his wife's family successfully relocated to Hong Kong in 1983, Yip followed—although it took him some five years as he was caught each time he tried to smuggle himself across the border before eventually making it through legally. 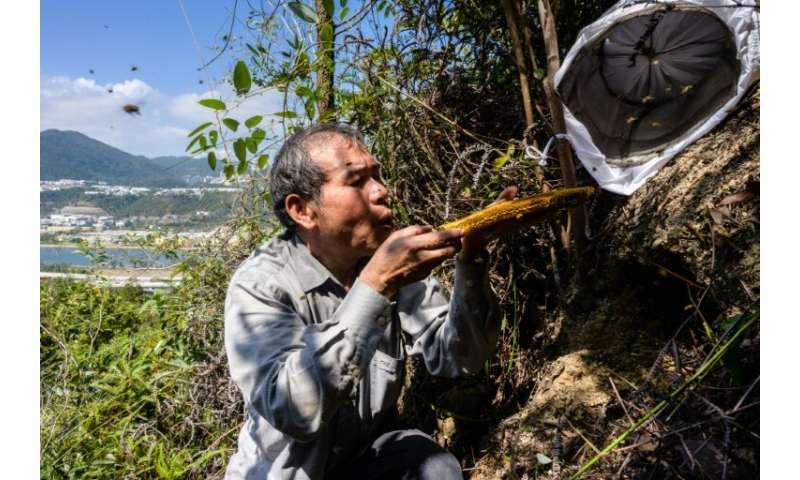 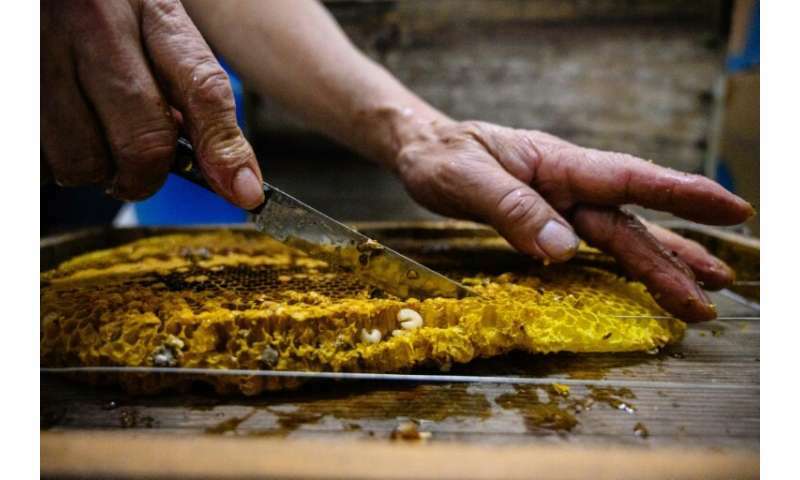 But as the global climate warms and fuels bigger storms, his livelihood—and Hong Kong's bee population—face increasing challenges to their survival. 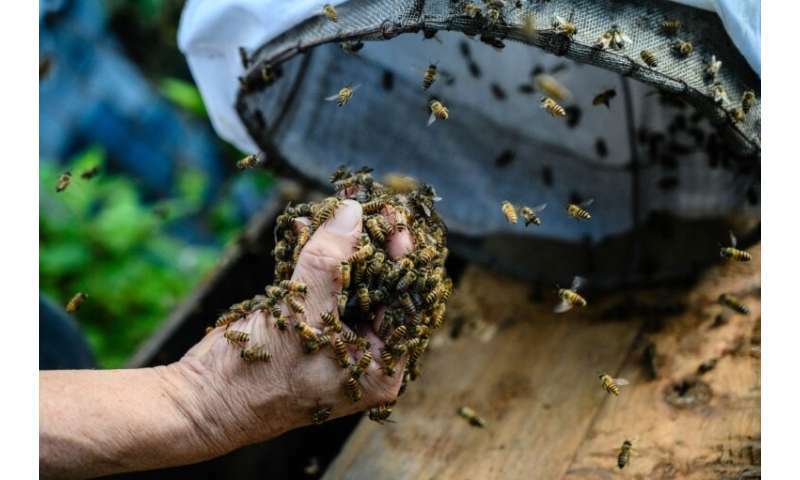 Last year Typhoon Mangkhut—the most intense storm on record in Hong Kong—tore through the city, knocking down tens of thousands of trees and flattening huge swathes of pollinating flowers.